At one time or another, our lives have been touched by a family who has suffered the loss of a loved one due to cancer. We have watched the pain of treatment for invasive cancer. We have perhaps even lost a loved one ourselves. It seems that every day we hear of someone who has suffered cancer or the fight against cancer. This morning 800 of our students ran three separate routes as a way of raising funds for our annual Terry Fox run. We all dawned signs with names of loved ones, friends or families who have been affected by this disease. It was a tremendous show of spirit and each and every participant brought in a toonie as a contribution to furthuring cancer research. I felt a real sense of community and love as we completed the run with enthusiasm and kindness. I am pleased to report that there was absolutely no walking for this chick this year and I finished the three kilometer course with a red face…but managed to keep a steady pace the entire way! Let us all do what we can to create a sense of knowledge and hope where this disease is concerned. Terry Fox is someone who acted on a dream. Each one of us can do the same. It is a peaceful thing to sit with my stacks of assignments and read them while listening to good music. 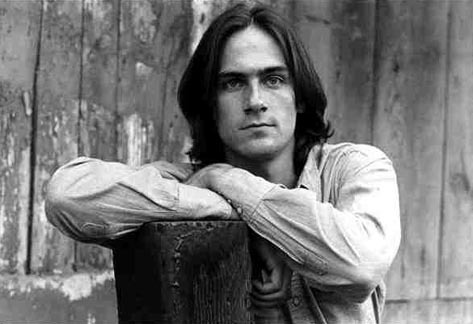 James Taylor is presently singing Something in the Way She Moves and I remember years in university. Mark Meher’s (is that how I spell it?) stereo was left behind for vacations when he would go back home to his parent’s place in Medicine Hat. I would spin his albums…Valdy, Bruce Cockburn and James Taylor…Joni Mitchell…There was always a view from my residence room window of the Oldman River. I always felt so calm about life perched there above the river. I’ve wanted that feeling ever since. One day I see myself living near a creek or river. Into places where I should not let me go. Of the happiness and good times that I know, got to know. My sister friends and I headed out to Lake Louise yesterday morning at 7:30. We shared in a beautiful hike up and above Lake Louise, after trekking up the trail on the way to Agnes Lake Tea House and then heading it left from Mirror Lake instead. What an amazing view of the glacial water below us, shadowed by a mountain in deep ultramarine blue. An exceptional thing was that at four different times we heard the loud crashing of glacial snow pounding down the mountainside and one time, stood speechless as we watched it happen. It was an inspiring and moving experience to be up there in the autumn. The golden larch trees were interspersed with the conifers…absolutely stunningly blue sky…the smell of evergreen thick in the air. Beautiful! Next time I get up into this same location, I hope to hike my way up to the Plain of Six Glaciers…we were so very close but didn’t seem to have enough daylight and stamina to make it all work this time. Our primary goal yesterday was to find a special rock setting for one of my sister-friends. Likely forty years ago, her mother posed along with her aunties for a black and white photograph at the edge of Moraine Lake. We looked at angles and vegetation and took our very own photograph, using a little disposable camera, of the likely location revisited. It was a close replication. Oh yes…and something unusual for me, I left my camera at home! Can you believe it? On Saturday night I drove out to the little town of Turner Valley and attended a concert in the wee Flare and Derrick. It had been some time since I had heard the honky tonk band that I love so much and it was a good thing to listen to the familiar tunes and do a bit of dancing in the outside aisles. Afterwards, I offered a buddy of mine a lift home and we were on our way in the blackness of the night…out on the winding country roads. Shortly after we were on our way, I noticed a massive arch stretching across the night directly to the north. I pulled over onto a small narrow road and turned off the car. Out we got. For fifteen minutes or so, we stood by the side of the van watching the dance of the northern lights. And above us the stars were like a brilliant cloud of light…so many stars scattered for an endless forever! The lights were brilliant green woven together with yellow and they transitioned into brilliant towers of pink and violet that stretched and then returned to melt again into the green. It was an awsome site…a beautiful evening of music and light! There can be nothing more ‘magical’ than sharing time with my children…and just recently, I have had time to really appreciate again the absolute and profound love shared between myself and my girls. I have been so wrapped up in living life recently, that there was little time for doing my daily writing and so I am capturing, in brief, the bits that really count. Oh yes! It can be ‘quirky’ at times…this mother-daughter-relationship-thing…but truly I feel filled-to-the-brim with warm and fuzzy feelings surrounding our time well-spent. There is something special about a chat with a daughter…in many ways they are able to be at this age, my closest friends. While there are boundaries that particularize that friendship, it is something very special….warm skin….eyes, warm and filled with questions, love and discovery….soft hair….hands that stroke and comfort….we reach out always to one another. When things are uneasy or unresolved between us…there is only a deep desire for reconciliation because everything feels awkward when things are uneasy or unresolved. I love my daughters. I opened up my soft-covered book of poetry…746 pages, titled Allen Ginsberg: Collected Poems 1947-1980. The cover is red…a strong radial design creating a crisp focus to the center where a triangle sits…the most stable of shapes. I suppose now I wonder how anyone in their right mind could read Ginsberg…but as I open to the first pages, I see my many notations and responses. A few summers ago, I decided it would be another of my many ‘things to do before I die’ to respond to each and every poem in his collection, with a poem. Where the heck do I come up with these ideas? Few of my friends and none of my family know that this is a passtime of mine…it is a struggle sometimes even to attend to Ginsberg’s writing for any length of time, let alone develop a poetic thought around his form or content. Regardless…it’s an idea…and I’m going with it. Oh yes…and here’s a surprise! Pressed in between the pages…somewhere near the middle I’ve discovered one of my ‘first rites of spring Crocuses’. I love hiding them in books because sometimes I forget them for years and then they surface. then again, disappearing into a lap of water. My week begins with peace…Peanut-the-cat curls up on the table space between the keyboard and my tummy…my right arm curves over the contours of his body and humms with his purring sound. He does this every morning…has for years. There is a perfect time to be cuddled and touched…morning writing time is that time for Peanut! It has been five years now and I remember that our home felt its peace shattered by the alarming news coverage of the morning-televsion set. This morning I pray for the families of those lost in the terrorist attacks of 9/11. I continue to pray that we learn in this lifetime to be peacemakers…that the differences between us shrink…becoming less important…while the similarities between us grow. That’s it! It’s done! At 9:22 tonight I completed the job of planting my new May Day Tree in the backyard! (two inches of topsoil and 16 inches of clay! Phew! (she rubs the sweat from her brow and sips from the icy bottle of Corona) It will provide the element of shade on the back deck that I want. At my last residence I planted a May Day Tree, but did not have the opportunity to watch it mature. I feel very excited about this new beginning! Tomorrow I will publish a photograph and know that it will make you smile. Quite a sight… after the sun has gone down…with a desk lamp lighting up the excavation area! I’m one determined chick, I’ll tell you! I head up to Edmonton in the morning with the most recent framed paintings. It will be an awesome day. Sleep well everyone! Have magic this weekend! It’s a new school year and my initial focus is upon the theme Words to Live By. I recently watched the movie, The Emperor’s Club with my son and some real insights came to me through the selection of quotations and wisdom shared by the teacher, Mr. William Hundert played by Kevin Kline. "The worth of a life is not determined by a single failure or a solitary success." "As I’ve gotten older, I realize I’m certain of only two things. Days that begin with rowing on a lake are better than days that do not. Second, a man’s character is his fate." "The waters in which we found ourselves swimming, were precisely as lovely as those we had earlier only imagined. But if time had made concessions for love, it made none for death." While these are not all of the inspirational words, they are a sampling words that can have power and speak and live eternally. Do you have your favourite quotations or words that you live by? Please share them in my comments section…whether they relate with life, art, words, philosophy, spirituality or good humour. What words do you live by?